As a reminder, strictly speaking, 508 only applies to kiosks in the federal space. Of course, it is a good set of ICT accessibility requirements. The ADA Accessibility Guidelines (ADAAG) covers ATMs and Fare vending machines, but not kiosks more generally. 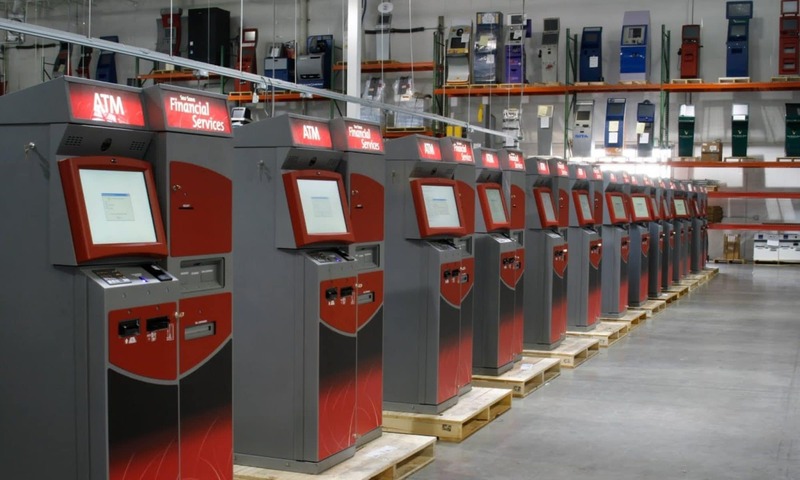 The Air Carrier Access Act (ACAA) covers kiosks at airports. Are kiosks required to provide permanently plugged-in headphones, not just the earbud jack? No. No accessibility standards require attached headphones. Attached headphones sound likes a very bad idea for unattended equipment, as they would be a risk for vandalism and hard to keep sanitary. Headphones are sometimes used in museum style environments. The longer answer is: “most probably not, but it depends on the content being interacted with”. The requirement is that operable parts be discernable by touch without activation. That requirement is problematic for touch screens, so kiosks typically need to provide alternative controls for users that are blind. Those alternative controls might be a keypad (as is the case with ATMs and fare vending machines). With kiosks (like the new airport ticketing machines) the most popular approach is to add the Trace EZ Access keypad. However, there is a difficulty if the interaction with the kiosk ever requires the user to enter alphabetic characters, since an on-screen keyboard is useless for someone who is blind. If the alphabetic key entry is not very many characters, then the Trace EZ Access keypad is just barely sufficient. The user has to scroll through 26 letters (or more, if a field is alphanumeric). On the other hand, the kiosk might be more general purpose, and interaction with an on-screen keyboard is a core feature of using the kiosk. An example is a kiosk at Motor Vehicles where the user has to enter name, address, and other demographics. Another example is a kiosk that provides for web browsing. To be ADA compliant, those sort of kiosks require a physical keyboard, with the keys arranged qwerty style, and with tactile indicators for finding the F and J keys on the home row. To be sure, given your particular situation, it is recommended you have someone like TFA conduct a Gap Analysis. Also, ADA and accessibility isn’t just the kiosk, it can be the facilities and where the kiosk is situated. Architectural ADA has a higher incidence of liability overall. Most technical standards for accessible design such as Section 508, D.O.T. and ADA include a requirement for tactilely discernible input controls. Tactile input controls benefit users who are unable to use a touch screen. One approach to designing an accessible kiosk interface for blind users is to provide tactile input controls with speech output. While it is possible to create an accessible touch screen interface for blind users (the technology is built into iOS and Android devices) kiosks must also provide tactile controls. The Section 508 standards include an exception to the tactile controls requirement but this only applies to devices for personal use. People who have difficulty activating touch screen controls because of hand tremors, limited dexterity or other reasons may be better able to interact with the kiosk using tactile controls. In related legal matter, in 2 recent cases that legal actions brought up against kiosk manufacturers, the advocacy group & regulatory agency explicitly asked the manufacturer to include hardware solution which requires tactile control (such as Storm device), in one case the kiosk manufacturer suggested to introduce software solution but it was rejected by the advocacy group. Do operable parts like a credit card reader need to be detachable to improve accessibility?